It was 2006, just before I graduated from college, that I first heard rumblings about this house attached to a church in Harrisburg where young adults could live in a community setting and volunteer locally. Once graduating, I ended up moving just a few blocks from what I learned was called the Sycamore House, a part of St. Stephen’s Episcopal Cathedral. Though I never lived in the house, it became a touch point for learning about and investing in the city, for me, and many of my friends who were excited about living in Harrisburg and finding ways to change the world, both locally and globally. Fast forward 12 years, and the Sycamore House has been a home to over 70 young adults, at least 30 of whom have stayed in the vicinity, continuing to invest in the local community in a myriad of ways. 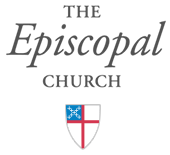 In 2013, the house became officially a part of the Episcopal Service Corps (ESC), linking the program to a national network of Episcopal volunteers, and allowing them to hire a Director to give the house more structure and stability. Currently, the Sycamore House invites 6 young adults (called Corps Members) annually to spend a year in the house, living in an intentional Christian community that includes sharing meals and their lives with one another and those around them. Each Corps Member has a placement in a local organization doing service work, using their gifts and skills to increase the capacity of the organization to serve, while learning more about how they fit into God’s work in the world- into the Jesus Movement! They serve Monday through Thursday at their organizations, and on Fridays gather as a group to process, learn about social justice issues, and engage in spiritual formation in the Episcopal tradition. Often, they do a group service project in the community or church on Friday afternoons. Though I’ve been involved with the Sycamore House in various ways for the past 12 years, this is my first year as Program Director, I am so excited to be here! We have 6 wonderful new Corps Members who will be arriving from all over the country. We are starting new partnerships with a few organizations this year, including the Beacon Clinic, located in St. Paul’s Episcopal Church in Harrisburg and the Pennsylvania Utility Law Program (PULP)—both of these organizations serve the city of Harrisburg—but also many of the surrounding counties, meeting needs related to poverty. We also have a Corps Member placed at the Diocese, and are excited to connect with more churches throughout the region! The program that was started with a few young adults moving into a house by the river has grown and changed throughout the years, but remains true to its mission to help its members “to live faithfully through service, action, and reflection,” and to serve young adults, the church, and the greater community. For more information about the Sycamore House or ESC, contact Micalagh Moritz, LSW, Program Director, Sycamore House, e-mail: MMoritz@ststep.org, or call (717) 557-3321.